The revelation behind Google Cardboard was that if you put your phone close enough to your eyes, it’s basically a VR headset — but it’s not quite that simple for mixed reality setups like Microsoft’s HoloLens. Or is it? HoloKit is an extremely clever DIY solution for a quick and dirty augmented reality experience with a bare minimum of equipment. The idea is really quite simple: Instead of a costly projection system, a pair of mirrors reflects the display of a smartphone onto an angled, semi-transparent Fresnel lens — so you see both the image and the world behind it. Meanwhile, the phone is in position to use its camera and sensors to track the world in front of you. It really is clever, and reminiscent of half-mirrored-glass optical tricks going back decades. 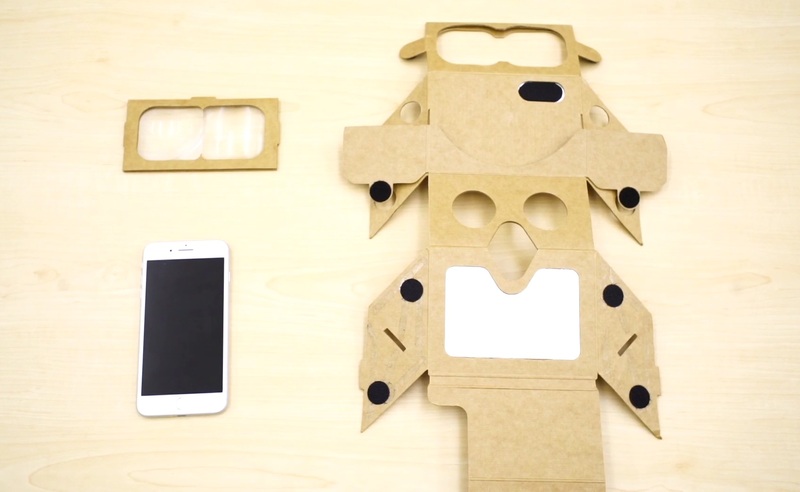 It’s not quite so simple as Cardboard, though — it requires mirrors and a special Fresnel lens set to pull this off. But considering you can’t even buy a HoloLens right now, this is a relatively cheap and easy way to test out AR applications or deploy them quickly to groups. Right now HoloKit (its name until Microsoft sends the inevitable cease and desist) supports the iPhone 7 and Plus, Pixel phones and Project Tango hardware. Amber Garage, an AR outfit founded by Botao Hu, is behind the kit. He presented it at the Augmented World Expo yesterday, and plans to release the code and other documentation next week on GitHub. Cool, right? Ready-to-assemble kits should be available starting in July. Keep an eye on the website, or go ask them in person at AR in Action. Update: Or check out the Aryzon, which recently met its Kickstarter goal and is shipping in September.